Teesside University is taking part in a ground-breaking research project looking at how biotechnology can be used to replace harmful petroleum-based ingredients in everyday products. Surfactants are the main active ingredient in most cleaning products and help to “wet” the surface and emulsify oils and fats. Dr Claudio Angione, a specialist in machine intelligence at Teesside University, and Dr Pattanathu Rahman, from the Institute of Biological and Biomedical Sciences at the University of Portsmouth, have received follow-on funding to carry out research into how biosurfactants can be used in these products. Biosurfactants are derived from biotechnology and are produced by living cells such as bacteria and have antimicrobial properties. Dr Rahman and Dr Angione received the follow-on funding from the Biotechnology and Biology Sciences Research Council (BBSRC) which encourages collaboration between academia, industry, policy makers and NGOs in order to tackle research challenges. The project received a Teesside University Grand Challenge Funding award, as well as a BBSRC Business Innovation Voucher and a BBSRC Proof of Concept funding. The research will form part of the work that is being carried out by Teesside University’s National Horizons Centre which is due to open in Spring 2019. The NHC is a £22.3m national centre of excellence for the bioscience industries at the University’s Darlington campus on Central Park. 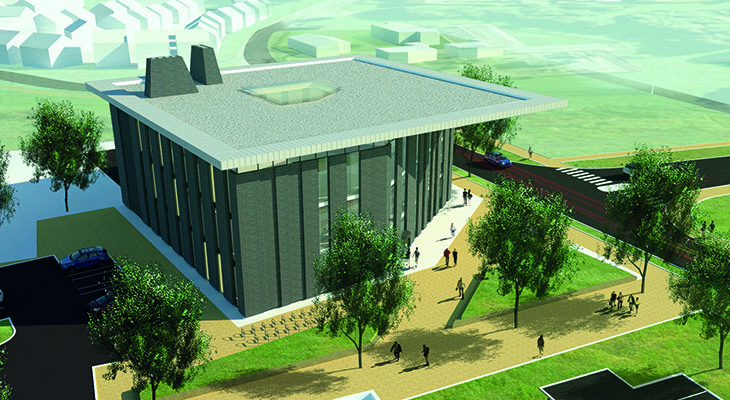 It will house academics and business development staff from Teesside University, working in partnership with regional, national and international industry players to provide specialist education, training and professional development for the current and future workforce, and to promote industry-focused innovation and research. As principal investigator on the two BBSRC grants, Dr Angione conceived and coordinated the study, and led the research group. His research looks at how machine intelligence can be used to analyse complex biological big data and predict cellular behaviour. He said: 'Multi-omic modelling and machine learning techniques have tremendous potential in biology and biomedicine, and can rapidly identify ways of increasing the productivity of cells. The team also involves two Teesside University Research Associates, Dr Annalisa Occhipinti and Dr Filmon Eyassu. The initial results obtained by the team have been published in PeerJ. The opportunity to work alongside Dr Angione and Dr Rahman is available through a three year fully-funded PhD starting in October 2019. Applications close on February 24 2019. The PhD is funded through the University of Portsmouth’s newly developed Centre for Enzyme Innovation which focuses on the discovery, engineering and deployment of enzymes with potential application to the circular economy.